Although you may expect the professional from the roofing company to grab a ladder and make his way up to your roof, he may actually begin the inspection inside your home. Allow the inspector to go into your attic so he can examine the roofs insulation. If your roof does not have enough (or any) insulation, the inspector may suggest you add some to prevent heat from escaping through the top of your home.During this part of the process, the inspector will also be on the lookout for signs of mold or moisture. Inspectors are trained to observe whether there are any streaks of light coming into the attic from the outside. This signals there is a tiny leak in the roof that is allowing light to pass through. Once the inside has been analyzed, the inspector will climb onto your roof and take a look at the condition of its exterior. Are there any missing shingles? Are some shingles beginning to curl up on the corners? This will be noted in the inspection report. If there are signs of leaks, an Austin roof inspector will be able to spot them. The inspector will also look at your chimney if you have one, even though this is not technically part of the roof. 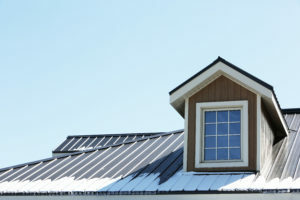 The exterior portion of the inspection will wrap up with an examination of your roofs flashing. The inspector will look for rust or cracked caulk that could indicate the flashing needs to be repaired.